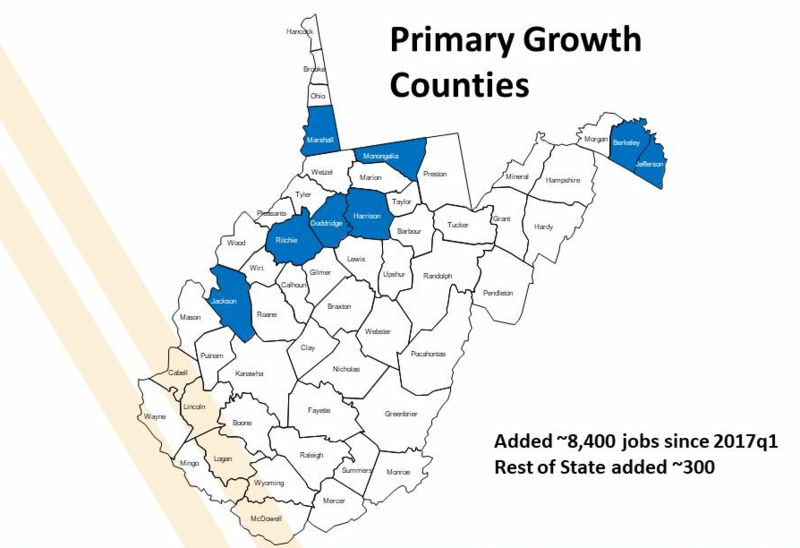 Based upon a recent report from West Virginia University Bureau of Business and Economic Research director John Deskins, Jackson County and seven other counties are seeing major job growth. Since 2017, Jackson County have experienced large job growth compared to the rest of the state. Along with Jackson County the only other areas of the state with some growth include Berkley, Jefferson, Monongalia, Marshall, Harrison and Doddridge. Deskins stated that the state lost nearly 20,000 jobs since 2016. The state has gained almost half of them back, mostly in the natural gas industry. Jackson County has had a large increase in manufacturing as well as natural gas distribution. Mark Whitley of the Jackson County Development Authority stated that Jackson County has many companies expanding and creating additional job. “Many companies I work with have openings that they can’t find people for”. These opportunities provide good wages and excellent benefits said Whitley. “Our economy is quite diversified in Jackson County including aerospace, metals (aluminum), polymer, distribution, exploration, healthcare and pipeline distribution said Whitley. It’s our hope that people who left the state for career opportunities may be able to come back home and benefit from the excellent amenities that Jackson County provides including our public education, healthcare, recreation and quality of life said Whitley. While very limited parts of the state have seen employment growths up to 6 percent, the southern coalfields of the state in the same time have experienced a 16 percent loss in employment.